Walking The Camino: To The Edge Of The World — . We survived our trek from St. Jean Pied de Port in France to Santiago de Compostela, and onward to Finisterre. 30 days. 800km. A dozen blisters. Heat exhaustion. And a sad farewell. The final 100km, from Sarria to Santiago, was disappointing. The path was overwhelmed with tourist pilgrims (turigrinos) and tacky shops selling shoddy trinkets. It was a shame to see, after crossing a country so beautiful on a path sprinkled with quiet and respectful pilgrims. Santiago itself, while cozy and charming, was also nothing more than elaborate tourist trap. You couldn't walk 5 feet without seeing a shop crammed full of tourist garbage. The cathedral, of course, was beautiful...but also under construction. A fitting monument to the Camino, I suppose. Finisterre, then, provided a more fitting end to our journey. The misty trail took us to the coast, to a place the Celts and Romans once thought to be the end of the world. We sat quietly with a host of other pilgrims, eyes (and perhaps hearts) searching the thick fog that hung heavy, enveloping us. Littered on the rocks were old walking sticks and worn-out boots, though most had been burned - a pilgrim tradition - near the small statue of a hiking boot. It was here that I said farewell to my walking stick, aptly named Jefferson Smalls, which I found shortly after we left SJPP. It kept me steady for the duration of our trip, and I was honestly quite sad to leave him behind. Nothing gold can stay, I suppose. And so, our Camino has ended. Truly it was an adventure to remember, and where the road will take us next I'm not sure...but my eyes and my heart look ever forward, ever onward. 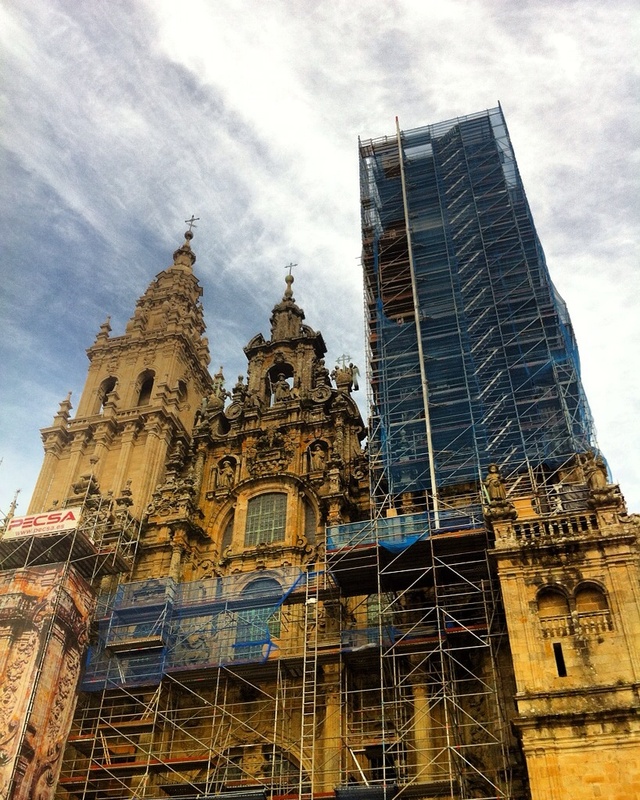 Interested in reading more about The Camino? Start at the beginning of our adventure!